John Giles Cecil grew up in Wayne County, Kentucky and graduated in 1876 from Princeton College. He then attended Hospital College of Medicine, earning an MD in 1879. He began teaching at the University of Louisville by 1886 when he was assistant to the professor of medical chemistry and microscopy for a year, then assistant to the professor of obstetrics and diseases of women and children until 1892, and then lecturer on gynecology until 1894. 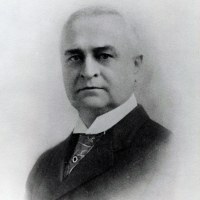 He taught obstetrics at Kentucky School of Medicine and returned to the University of Louisville in 1901 as professor of materia medica, therapeutics and public hygiene. In 1906, he became professor of the principles and practice of medicine and clinical medicine. After 1907, he continued with this title, apparently not as chairman until a year before his death when he was professor of principles of medicine and clinical medicine. He was president of the Jefferson County Medical Society and the Kentucky Medical Society.